The Stowabike 26″ folding bike is not just a mountain bike. 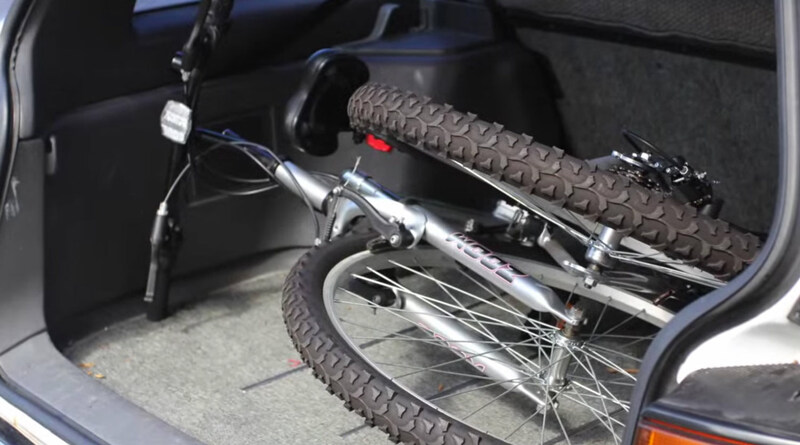 This 26″ wheeler can really hold its own on and off the road. 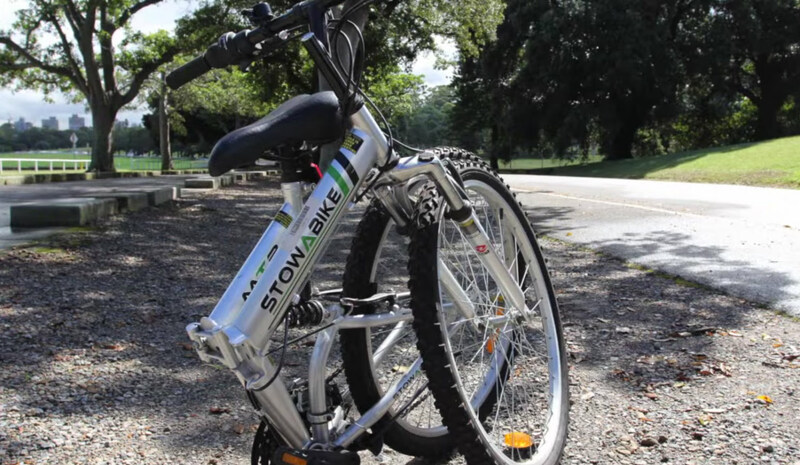 There is no doubt that the Stowabike 26″ is a folding bike that stands out from the crowd. 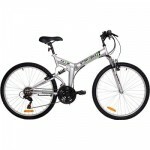 So, it would be a smart choice if you are looking for the modern mountain bike. It’s worth noting that the bike has 18 speeds. 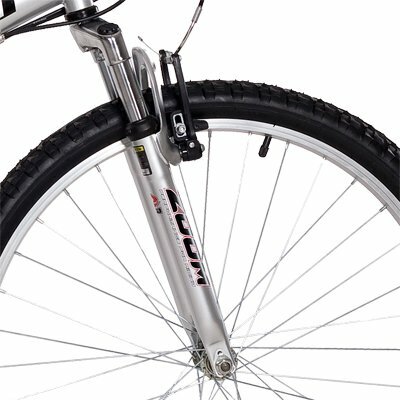 The Stowabike 26″ folding bike also comes with 26″ suspension steel fork, steel v-brakes and many other great features. With this type of a folding bike you’ll be able to overcome all challenges on your way fast and easy. The Stowabike 26″ folding bike is well-known for its incredible folding frame. The reality is the process of folding/unfolding a bike is very simple. 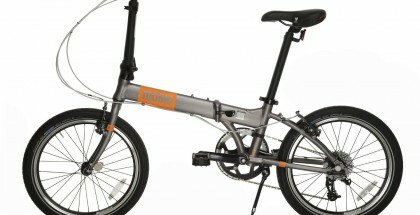 Actually, it takes a rider up to 10 – 15 seconds to fold or unfold the Stowabike 26″ folding bike. It’s also important to note that the bike itself is very compact. The bike’s folded size: 39″ x 35″ x 23.5″. It’s clear that a bike doesn’t occupy too much space when folded. That means that you will find it easy to store the Stowabike 26″ folding bike in a car, at home and even in public transport. All of this means that it wouldn’t be hard for you to travel with your folding bike. Without a doubt, the Stowabike 26″ folding bike is an ideal option for mountain travelers. 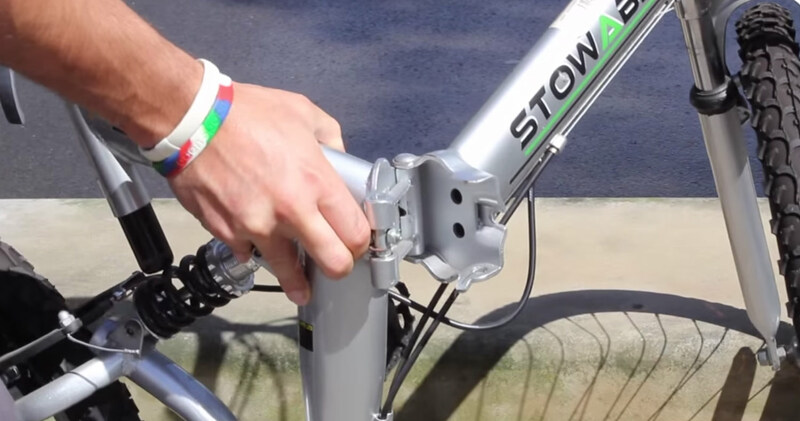 Now, let’s dig deeper into the Stowabike 26″ folding bike. First of all, we’ll tell you about the bike’s key features and specs. Like any bike, Stowabike 26″ folding bike has its own advantages and disadvantages. And of course, a buyer deserves to know the truth about the bike of his/her choice. 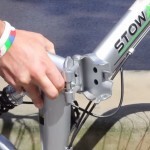 That’s the reason why we’ve decided to outline the Stowabike 26″ folding bike’s pros and cons in this mountain bike review. Also, you’ll be able to find images that showcase the bike’s key features in the best possible way. Lastly, we’ll allow you to take a look at the bike’s customer reviews. That means that you’ll get an opportunity to figure out what cyclists think and say about the Stowabike 26″ folding bike. This will help you make a final decision if you should buy the bike or not. 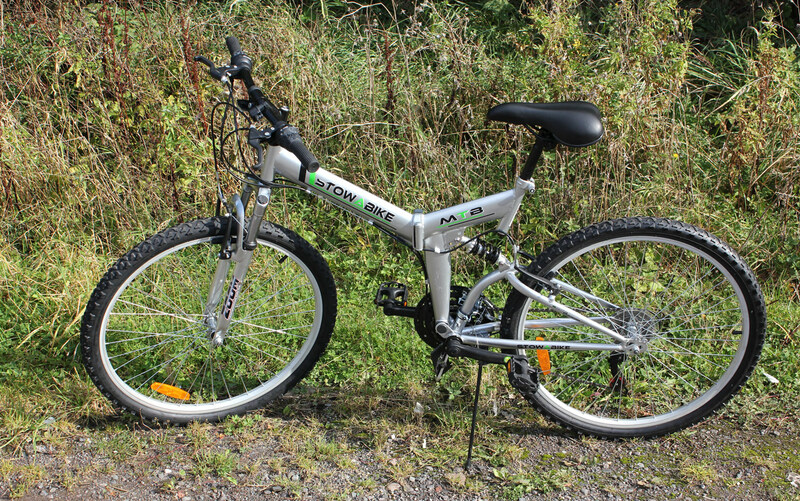 The bicycle comes with high-quality components from Shimano with a dual suspension system which is a perfect combination of looks and performance. The tough exterior is not only built to last but to fold too. That’s right! You can take this bike anywhere you want. The folded frame can just about fit anywhere – from the trunk of your car to the small space in your garage, this bike will simply slide in. 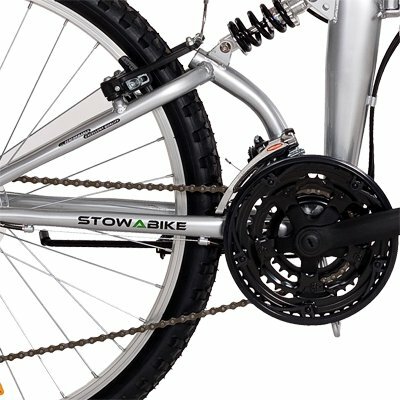 The Stowabike 26″ folding bike gives you the satisfaction of having both a mountain bike and a folding bike. 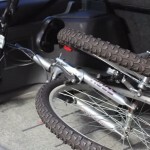 This bike allows you to keep all the fun of a mountain bike even in tight spaces. 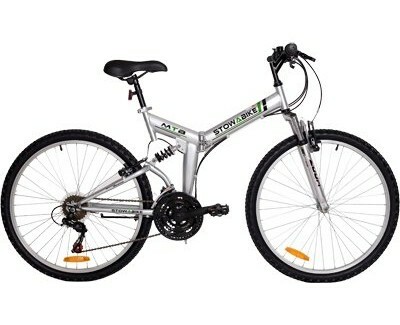 The bicycle comes in two versions: a city road version and a mountain road version for off-road escapades. 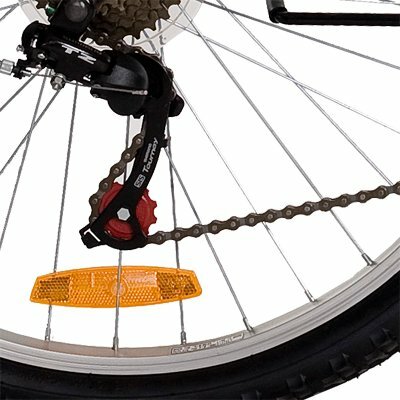 The Stowabike also comes with a KMC Z33 chain with folded dimensions of L 39″ x H 35″ x W 23.5″ and weighing 36 lbs when fully assembled. The left shifter is a Microshift 3 speed grip shifter while the right is a Microshift 6 speed grip shifter. The front derailleur is a Saigun QD-23a while the rear derailleur is a Shimano RD-TZ50. Frame: steel Stowabike folding frame. Zoom steel suspension 26″ fork. Shifters: Microshift 3-speed grip shifter on left and 6-speed grip right shifter on right. Derailleurs: Saigun QD-23a (Front) and Shimano RD-TZ50 (Rear). 18 Speed gear system which is rare for a bike of this wheel size. Economical: below $200 and easy maintenance and parts. Quick assembly: just attach the front wheel, the seat post, handlebars’ post and the pedals to their arms. Comes with a shallow manual that may not be of the exact model which may force you to do a lot of guesswork when assembling if you’re a novice. The wheels are not quick release which might inconvenience some people. Plastic brake arms and rear derailleur pulleys which may not be very durable in the long run. Lacks speed especially on rough terrains and off-road courses. If you are not an avid biker and all you want is bicycle to move around on, then the Stowabike 26″ Bicycle could be perfect for you. Once on this Stowabike, you’ll forget that it’s a foldable machine. The ease with which it cuts through traffic makes it ideal for any on-road purposes. The best part of this bike is its convenience with small spaces. This feature, however, may not be enough to make up for its lack of speed among those enthusiastic bikers. 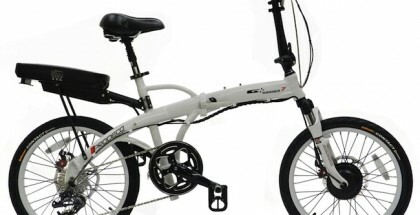 According to the statistics, up to 70% of cyclists are happy with the Stowabike 26″ folding bike. Let’s take a look at what they say. 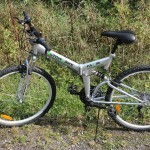 – Some happy customers point out that the bike manufacturer provides its clients with great customer service. You’ll be able to get your bike repaired for $50 only. 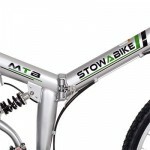 – There are also many cyclists who say that the Stowabike 26″ folding bike’s parts (such as folding frame, tires and others) are made of high quality materials. – You also need to know that a lot of cyclists find that Stowabike 26″ is an inexpensive folding bike. A few clients have left negative reviews about the bike. Here is what they have to say. – They reported different types of issues with the bike – broken parts, missing parts as well as bike’s functionality problems. – According to the opinions of people who have left negative reviews about the bike, Stowabike 26″ is not worth its money. 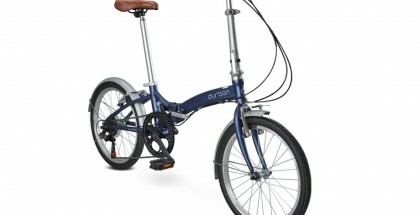 A very affordable full-size folding bike, but some components are made with cheap materials. hi! 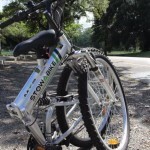 Do you think that the Stowabike foldable 26″ is suitable for me (6.1 ft, 231 lb)?